Blackford County Animal Shelter offers a low cost spay and neuter program through H.O.P.E. for Animals Clinic. You are not required to be a Blackford resident to sign up; anyone may sign up for this program. Animals must be at least 3 pounds and 12 weeks old and in good health. Senior animals must have a blood panel completed before surgery. A senior animal is an animal 8 years and older (or 5 years and older for a giant breed). 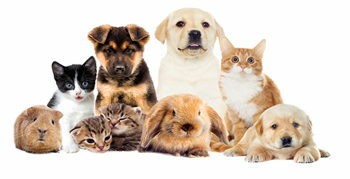 All animals 3 months and older are required to have their rabies vaccination. A rabies certificate must be shown, a rabies tag does not count. If no proof of rabies is provided or the animal does not have a rabies vaccination; H.O.P.E. must administer a rabies vaccination. The cost of the rabies vaccination is the responsibility of the owner. Spay/neuter is a major surgery; all animals must be healthy prior to surgery. Animals deemed unhealthy by H.O.P.E. may be rejected. Sign up, complete paperwork, and pay at Blackford County Animal Shelter a week before transport.